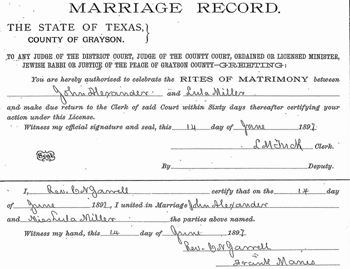 Archives Blog ›› Genealogy Help ›› How Do You Know What Records Exist? As your research moves from state to state, you begin to realize that things aren't always the same. Those marriage records that you used in the early 1800s in Ohio? You're not going to find them that early in Pennsylvania courthouses. And those birth and death records that New England towns kept in the 1600s and 1700s? Towns in Virginia weren't keeping them then. So how do you know when a certain location started keeping records? Here are a few resources. Two standard genealogy reference books are The Source: A Guidebook to American Genealogy and Red Book: American State, County, and Town Sources. They are packed with all sorts of genealogical knowledge and they can be found in many libraries. But you don't even have to go to the library to use them. They are available on the Ancestry.com Wiki. Search for the name of the state you're interested in; click on the page for <x> Family History Research. There, you'll get an overview of the state, plus links to more information, such as vital records and county resources. For example, you can learn when a state started keeping vital records on a local level and when they started being recorded by the state. Genealogy societies make it their mission to make genealogy information available. Many societies have basic information about the records in their county or state right there on their websites. Use your favorite search engine and search for <x> county, state genealogy society (for example, fairfield county ohio genealogy society). Doing a little bit of research into what records should exist for an area can save you a lot of time and frustration. If you know that a particular county or state wasn't keeping that type of record in the time period your ancestor was there, you can stop looking for that and start focusing your search on other types of records that might give you the information you're looking for.